Every homeowner fears losing their house to circumstances completely outside of their control. For survivors in Napa and Sonoma County, this nightmare became real when a fast-moving wildfire blazed through their neighborhoods. In this short amount of time, The Salvation Army mobilized to provide relief to evacuees and first responders wherever needed. Massive wildfires have left a trail of destruction across 210,000 acres, leaving thousands of evacuees. At least 42 people have lost their lives and over 5,700 buildings have been destroyed. 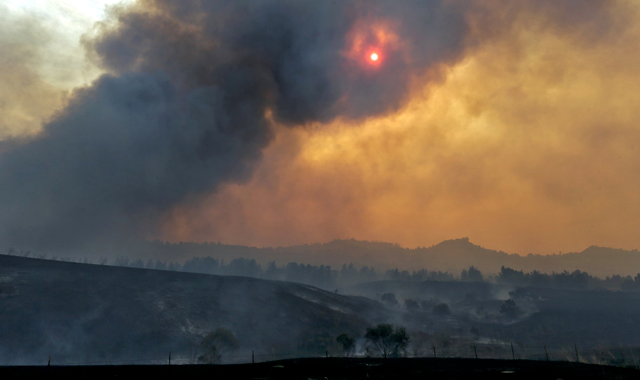 It was the deadliest week of wildfires in California history. In the immediate emergency, The Salvation Army Emergency Disaster Services division deployed multiple teams to provide meal services and care to first responders and evacuees in Napa, Fairfield and Santa Rosa in five locations. 100% of donations designated to disasters will go to their local disaster relief operations. You can give to the Sonoma and Napa relief campaigns at this link.